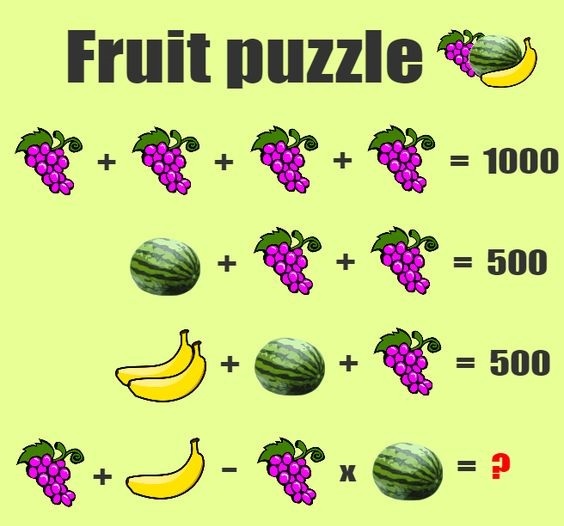 Fruit Puzzle - Grapes, Banana, Watermelon. Solve the equation? Grapes + Banana - Grapes x Watermelon = ?